How to create an account in Tinder app… Tinder app becomes one of the famous Online Dating App and with the help of Tinder, many folks got someone as a partner or a friend in their life. It is seen as Tinder become popular in Online dating app where some people say it is like a “hook up” app. However, the Tinder App proved useful in connecting to new relationships, for those who are seeking for love or finding a new friend. Creating an account in Tinder app is a very easy process and can be made within a few seconds. You can also create a Tinder account with the help of Linking your Facebook account with tinder. In which Tinder uses your Facebook basic details such as profile photo, Date of birth and name etc. With the help of this information, your Tinder account easily recognizes all useful information regarding your profile data. Your account in tinder should be ready within a second because Linking a facebook account with an application made it simple. Moreover, If you don’t want to share your true identity with strangers then you have to edit some of the details in Facebook account. First of all, sign in to your Facebook account. There you have to change some basic information like email id, date of birth, your name and Profile photo. Through which, you can hide your real identity in tinder because when this app links to your Facebook account they share all basic details with tinder. Below are some steps to know How to create an account in Tinder app. There you will see a pop-up window showing Log in with a Facebook account or log in with your Phone number. It depends on you which option you choose. Suppose you link your Facebook account with it in this step. After linking your facebook account with Tinder, next screen will contain some column like Date of birth, Name, Gender etc which should be auto-filled. You have to upload your profile photo and update email address if it is not available in your Facebook account. Next page will show Verify you’re human, in that check the box am not a robot. 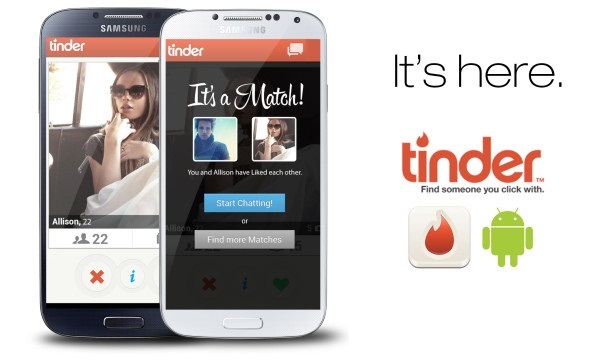 Finally, You’ll redirected to Tinder and start using Online dating app. From the above steps, your Tinder account will gonna be successfully registered. If any problem comes please comment below and let me know.